The Roland GK-3B Divided Pickup For Bass is the perfect pickup for driving these and other MIDI bass rigs. The Roland GK-3B Divided Pickup For Bass is much smaller and thinner than its GK-2B predecessor, the GK-3B is similar to its guitar counterpart, the GK-3, but catered for bass players. I put it to my Ibanez GWB35 bass. 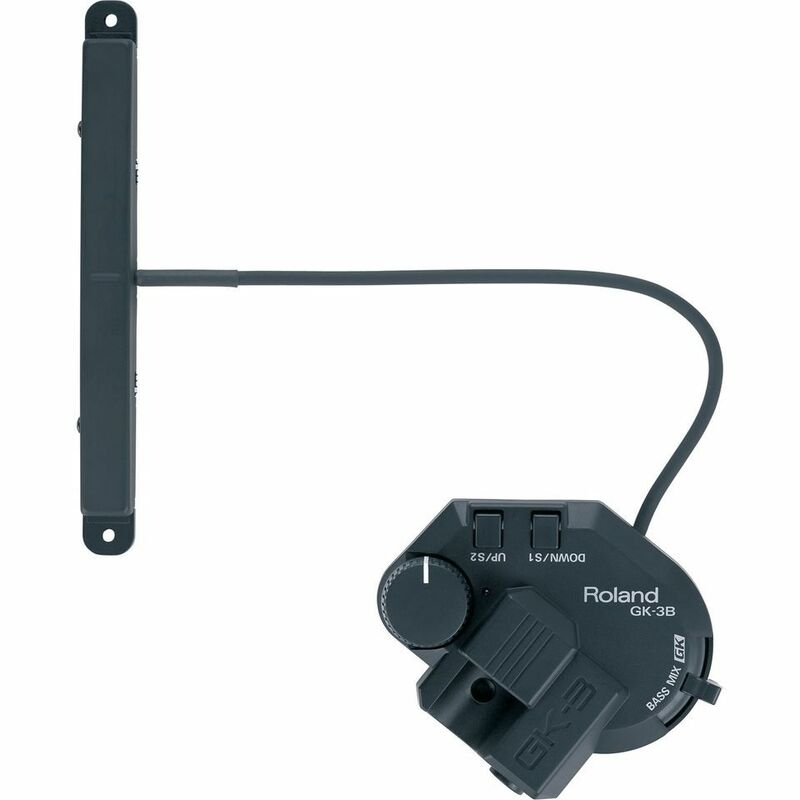 The Roland GK-3b came with installation kit with lots of options to mount it. You can use skrews and springs, then it stays adjustaple. Or thin plastic shims and it sits firmly. To me it was relatively easy, just fallow the istructions. I use it with my GR-20 guitar synth.